There is a wide variety of products on the market to help you keep your jewelry clean and sparkling. From cleaning creams to ultrasonic cleaning machines, our team did extensive research on jewelry cleaners to create the list of recommended products below. And if you're not sure what kind of jewelry cleaner is right for you, check out our buying guide, which is packed with information about different types of jewelry cleaners, what they do and how they work. The Magnasonic MGUC500 Professional Ultrasonic Jewelry and Eyeglass Cleaner can clean jewelry, eyeglasses, watches, and household utensils. Using ultrasonic vibration, it gently removes dirt and tarnish, preparing cleaned items for a final dry and polish. Five pre-set cleaning cycles and an auto shut off feature make it easy to use. The Mayflower Polishing Cloth has a non-toxic cleaner on one side and a polishing cloth on the other. 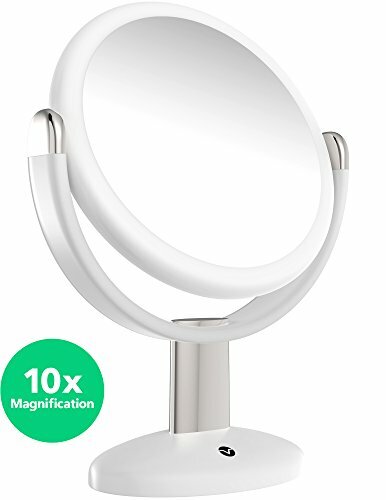 It removes tarnish and polishes jewelry to a high shine. At 11” x 14”, it is large enough to clean large pieces of jewelry or household items. This commercial grade machine has a large 2.6 quart basin. 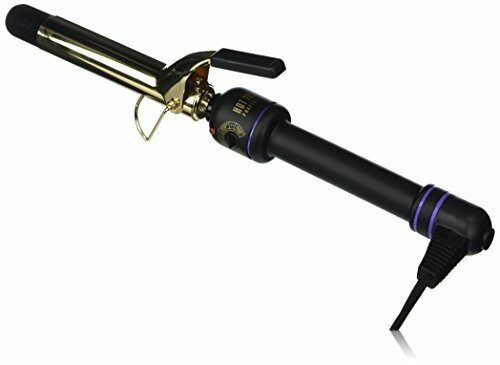 It comes with five preset time settings and a heat setting for loosening tough grease and grime. It can clean jewelry, watches, eyeglasses, and hand guns. This simple to use solution comes with a tray that fits snuggly into the jar and makes removing jewelry easy. It removes tarnish in as little as ten seconds. The touch-up brush loosens dirt found in deep settings of fine jewelry. The kit includes a solution with tray and a travel-sized cleaning cloth that make it easy to store at home or use when travelling. The tray handle is placed on the side for easy removal after cleaning. A set of three, double-sided cleaning cloths with a solution-treated inner cloth and polishing outer cloth. They remove tarnish and buff small pieces of jewelry to a shine. Tarnish, a corrosive layer due to a chemical reaction, is normal for metals such as silver or gold but can give the jewelry a dirty appearance. Removal of tarnish can be done with chemicals, soundwaves, or steam. Cleansers, creams, and lotions use chemicals to break down tarnish. 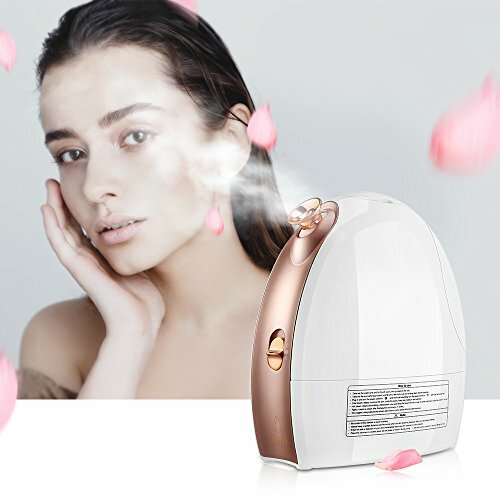 Many jewelry cleaning machines that use soundwaves or steam also need a mild cleanser to fully remove tarnish and dirt. Jewelry cleaned in liquid solutions may need to be rinsed in soap and water to completely remove the chemicals used in cleaning. Once tarnish has been removed, jewelry will need to buffed and polished. Cleaning cloths should have at least one side that is specifically meant for this purpose. Look for strong stitching on double sided clothes to be sure they won’t pull apart. After jewelry has ran through a cycle on a jewelry cleaning machine, it will need to be rinsed and dried. A polishing cloth isn’t necessary but can help produce a better shine after a machine cleaning cycle. It’s important to check any jewelry cleaning device or cleanser for the specific type of jewelry it’s meant to clean before using. Porous items, such as pearls, require a different cleaning agent than gold or sterling silver. Be sure to carefully read and follow instructions so as not to damage delicate pieces. Check all jewelry or items for scrapes or scratches as the cleaning process can further this kind of damage. If purchasing a machine, check the basin size. Silverware, eyeglasses, and similar large items can be cleaned in a machine with a large enough basin, giving it value beyond cleaning jewelry. Be sure to clean the basin after each use as debris can build up, reducing the effectiveness of the machine. Cleaning solutions with a tray are only meant for small jewelry such as rings, bracelets, and necklaces. If pieces are heavily tarnished or if large pieces are frequently cleaned, a machine with long time settings would be most effective. Heat settings are not necessary to remove tarnish and dirt but can aid in the removal of grease and other lubricants. Jewelry cleaning cloths and solutions can easily be purchased for less than $20. Double-sided cloths should have high quality stitching so they don’t pull apart. A cleaning solution should include a tray and jewelry brush to help remove dirt. For $20 - $50, an all-inclusive cleaning kit with a solution, basket, brush, and cleaning/polishing cloth can be found. 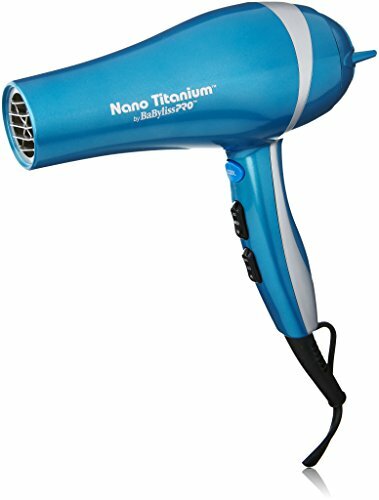 Some inexpensive yet effective jewelry cleaning machines can also be found at this price range. Large jewelry cleaning machines, including those of commercial grade can be found at $60 and up. They have larger basins, heated settings, and longer cleaning times for bigger, dirtier items. 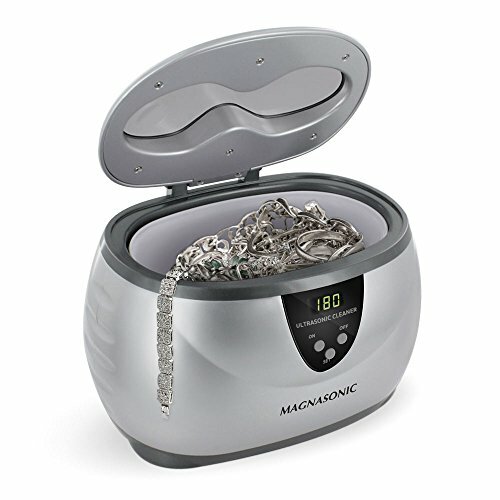 The Magnasonic Professional Ultrasonic Jewelry and Eyeglass Cleaner works on jewelry, eyeglasses, watches, and utensils. It can be used with tap water alone or add a jewelry cleanser for the dirtiest items. 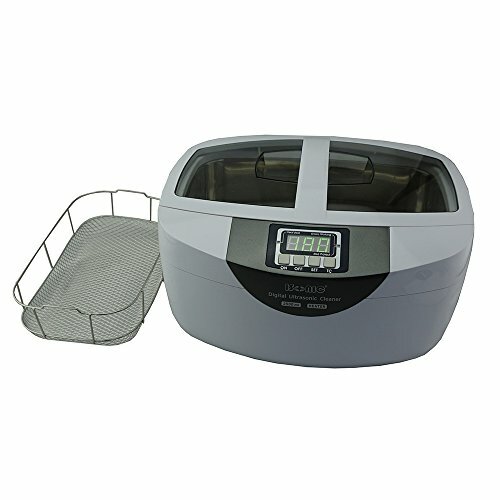 Five preset cycles and an easy to read digital display make this a fast and simple way to clean jewelry. Speed. Cycle times range from 90 seconds to 480 seconds, giving a good range. Heavily tarnished or dirty items may require more than one cycle. Ease of use. Fill the basin, place the items to be cleaned, and pick a cycle. It comes with a basket to keep items safe and for easy removal. Changing water/solution. Cleaning the basin requires moving the entire unit, which can be cumbersome in tight spaces. 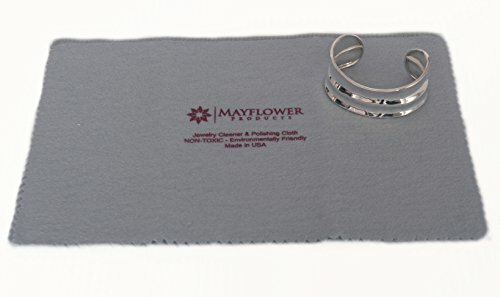 The Mayflower Polishing Cloth has a non-toxic, treated side for removing tarnish. It also leaves a layer of protection against future tarnish and scratches. The other side polishes to a nice shine. The large size allows for the cleaning of larger items and utensils. Cleaning ability. For a quick clean, this polishing cloth gets tarnish and dirt off fast. Once removed, a quick polish leaves jewelry looking great. Size. At 11” x 14”, this generously sized cloth can be used for household silver and display items as well as rings, earrings, and other jewelry. Storage/ease of use. A cleaning cloth can be folded and stored almost anywhere. It’s easy to pack in a suitcase or keep neatly tucked away in a drawer. Cleaning cracks and crevices. The cloth does have a hard time squeezing into hard to reach places on rings and other small pieces. There are three basic types of jewelry cleaning machines—ultrasonic, ionic, and steam. While steam and ionic models can do a good job of cleaning, the most popular and easy to operate are ultrasonic. Using the vibrations from soundwaves, they break up dirt, debris, and tarnish. Ultrasonic machines can clean a wide variety of metals and gems using plain tap water or a cleaning solution. After cleaning, rinse with tap water and dry using either a hairdryer or a polishing cloth. Machines are best for those who have a clean their jewelry frequently. The iSonic P4820-WSB Commercial Ultrasonic Cleanser can clean utensils, eyeglasses, jewelry, as well as firearms parts. Classified as a commercial grade machine, it has longer preset running times and a heated cycle. The vibrations are strong enough to clean in the small crevices of jewelry without damaging a delicate piece. Basin. The 2.6 quart basin can hold large or odd sized items. Cleaning. Whether removing dirt from the nosepiece of a pair of eyeglasses or reaching the tarnish around a wedding ring, this machine gets nearly everything. Heated Setting. The heated setting can remove oil or other lubricants that cleansers won’t remove. An overheat protector prevents damage to counter tops or the machine. Basket. Sidewalls keep everything in place and make it easier to remove items, especially after the heated cycle that leaves hot water. Heat. The water is extremely hot after the heated cycle. Take care when removing the basket so as not to get burned. A jewelry cleaning cleanser can come as a solution, cream, or lotion. They break up oils and tarnish, making them easier to remove. Some cleansers come as a concentrate that will need to be diluted before use. Most jewelry should not be left in a cleanser for a prolonged period of time as they can damage delicate jewelry. Be sure to check the instruction for suggested cleaning time limits. Rinse off the cleanser in tap water and either dry with a hairdryer or polishing cloth. Cleaners are best for those with only a few pieces they occasionally clean. 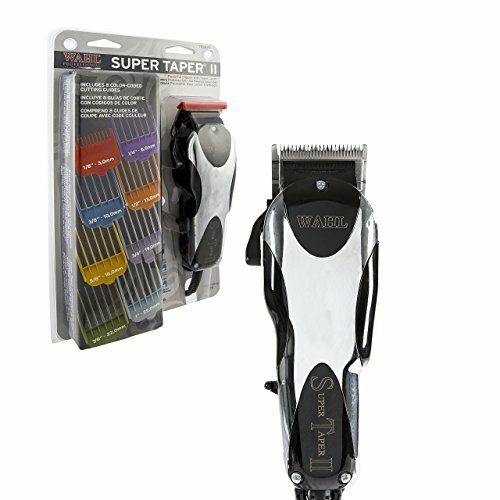 These products do a good job but aren’t meant for heavy use or large items. 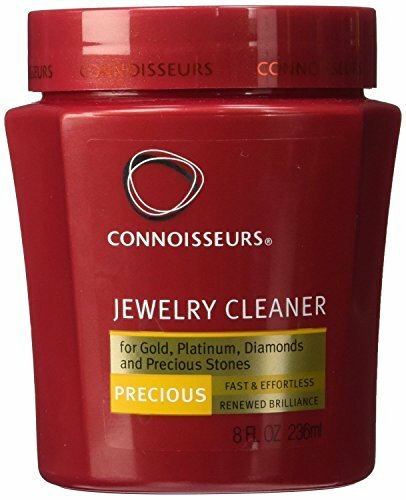 Connoisseurs Precious Jewelry Cleaner is a simple cleaning solution that includes a tray and soft-bristled brush for removing dirt. It’s effective and easy to use. If the only jewelry that needs to be cleaned is small, this cleaner will get the job done. Tray. The tray fits snuggly into the jar, preventing jewelry from falling to the bottom of the solution. Brush. Brush can be used to reach into the small areas that trap dirt. 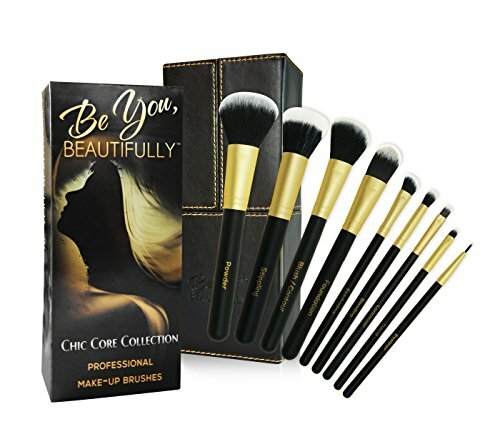 The soft bristles won’t scratch or damage soft metals or sensitive gems. Size. Easy to store and tuck away. The jar doesn’t take up much space. Not good for all jewelry. Not meant for pearls and other porous items. The content of jewelry cleaning kits varies but most include a cleanser with tray, brush, and cleaning/polishing cloth. Most also include a bag or container to hold the kit. Kits are useful if there are some pieces that only need to be polished using a cloth and others that need the deeper clean of a cleanser. A kit works well for those who have a limited jewelry collection but want to keep the pieces they have looking their best. 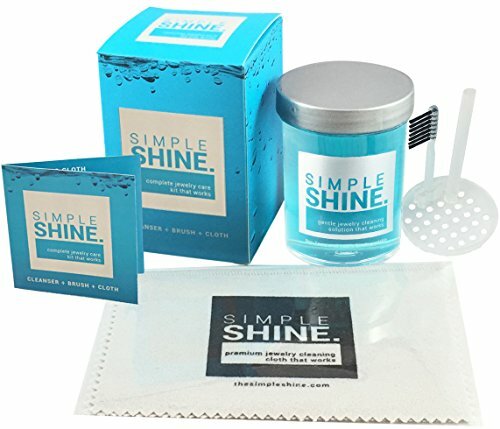 The Complete Jewelry Cleaning Kit by Simple Shine includes a cleaning solution, travel-sized polishing cloth, and soft-bristled brush. This kit includes everything needed to keep a jewelry collection dirt free and polished to a high shine. The solution can be used on a cloth to rub down items that are too large to fit in the container. Tray. The tray has a handle on the side rather than the middle making it easier to remove without getting fingers wet. Cleaning power. Included cleaning solution removes dirt, grime, and debris without damaging metal or stones. Travel size cloth. Travel-sized cleaning cloths are easy to take on the go for a quick polish. They can be kept in a pocket, briefcase, purse, or simply tucked into a drawer. Not great for very dirty jewelry. Heavily tarnished items may be too much for the travel-sized polishing cloths. Jewelry cleaning cloths can save time and money as well as add convenience when traveling. The best cloths have a chemically treated side that removes tarnish and polishing side buffing. Look for non-toxic cloths to prolong the life of jewelry. The biggest variation in cleaning cloths is size. Large cloths are good for household utensils as well as jewelry while small ones can be folded and carried in a pocket or purse. Cleaning cloths are best for those who travel, occasionally polish jewelry, or have items that should not be cleaned with a cream/solution. 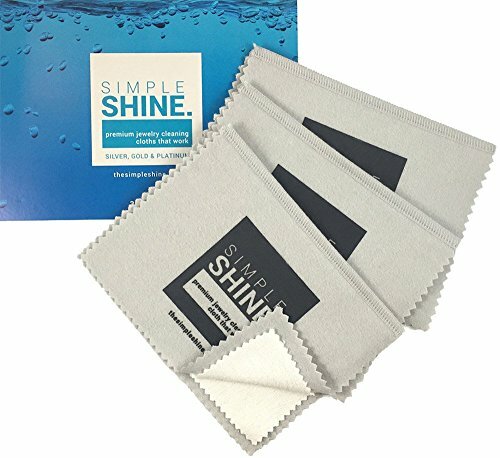 This set of premium cleaning cloths by Simple Shine removes tarnish and polishes. With a set of three, it’s easy to keep one at home, in the car, or at the office. They work well to remove surface dirt and grime while the polishing side brings out the shine. Multiple cloths. The set of three makes this a good value and allows for a cleaning cloth in multiple locations in the home or while travelling. Versatile . Each cloth can be used on multiple metals. Quick acting. Cleaning can be done in as little as thirty seconds. Size is limiting. At 6 inches by 8 inches, these cloths are small, which makes them easy to store but not great for frequent cleaning of large items.